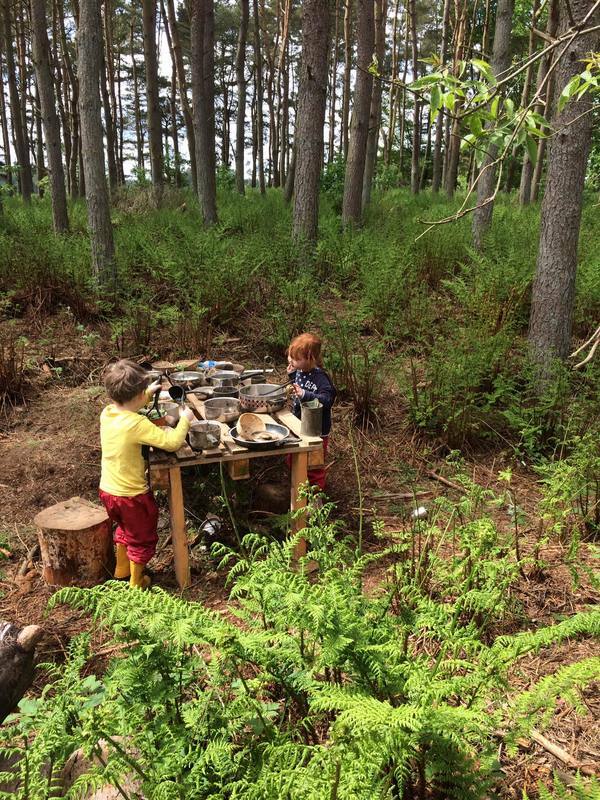 ​​Wee Wild Sparks Outdoor Nursery takes place entirely out doors, within 7 acres of mixed woodland teaming with wildlife and natural play features. 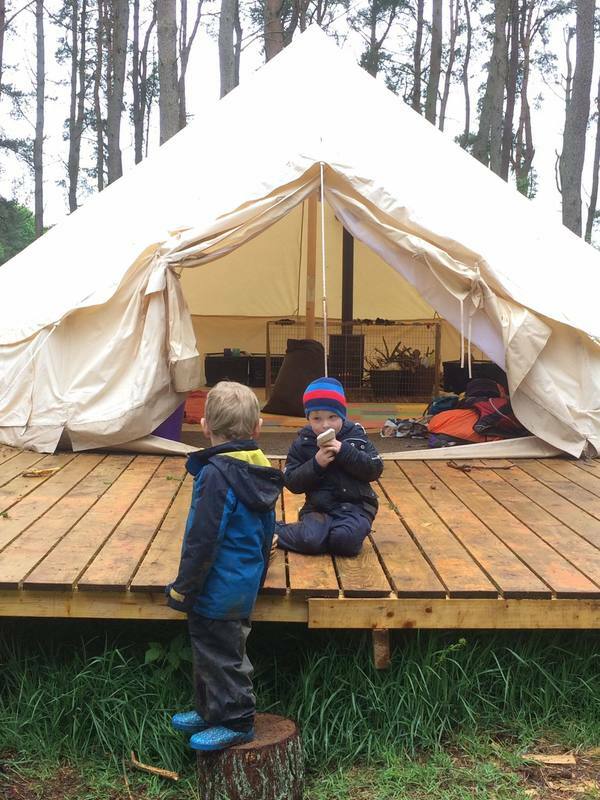 The site is constantly evolving and developing, as the seasons change, as the children discover and create new play features and when, from time to time, the builders come in. Featuring a wood burning stove and stash of slippers this is our hide out when the weather takes a turn for the worst. Perfect for warming up and enjoying some cosy stories and songs together. 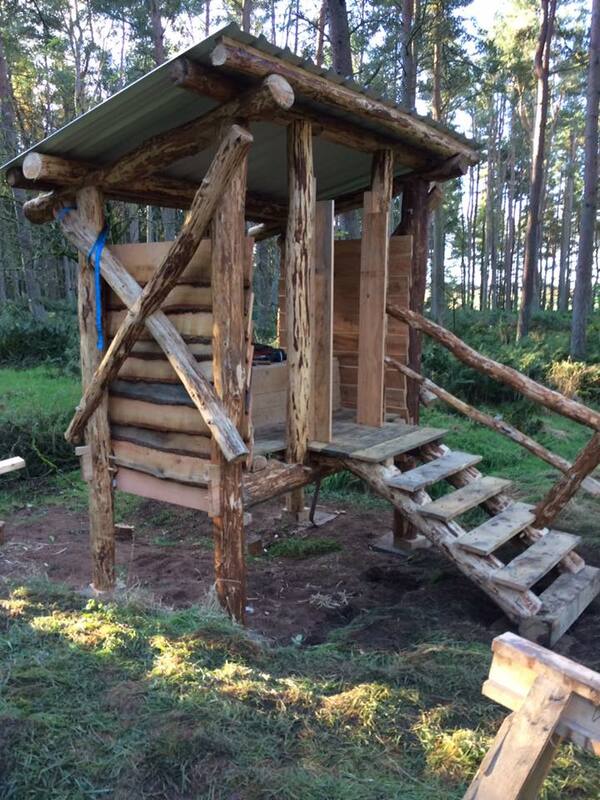 We have two composting toilets on site and various designated 'pee trees' and wild wee-ing zones. We have portable hand washing systems to keep children's hands germ free wherever we are in the woods. Each morning we journey around 1/2 mile from the meeting place, alongside fields, over the gate and into the woods. The walk is an important part of the day's rhythm and the transition from home to nursery and back again. 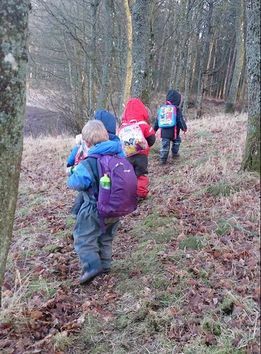 Children must carry their own bag and walk the whole way; we find reluctant walkers soon build up their stamina. This simple structure provides the perfect platform for mixing mud based culinary delights and magical potions. The children have discovered it also makes a great stage, shop, bus, aeroplane and hiding place! Check out our photo gallery for more pictures of our inspiring and beautiful site.